David Eisenberg, Paul Boyer Professor of Biochemistry and Molecular Biology at UCLA and an HHMI Investigator, is the second winner of the American Society for Biochemistry and Molecular Biology’s Bert and Natalie Vallee Award in Biomedical Science. The award was established by the Bert and N Kuggie Vallee Foundation in 2012 to recognize established scientists with outstanding accomplishments in basic biomedical research. Eisenberg’s research focuses primarily on protein interactions as well as the structural underpinnings for the conversion of normal proteins to the amyloid state and the conversion of prions to the infectious state. Sabeeha Merchant and James Bowie at UCLA, who nominated Eisenberg for the award, said in their nomination letter, “David’s achievements are truly remarkable, not only because of their enormous fundamental impact on the fields of medicine, but also because success was so improbable. He has transformed the field of amyloid diseases and is exceedingly deserving of this recognition. In 2005, Eisenberg’s group published the first atomic-resolution structure of an amyloid fiber. His work led to other researchers determining the atomic-level structures of more than 100 other fibers. These structure determinations have revolutionized the field. Eisenberg’s work enabled the development of algorithms to predict segments of proteins with high propensity to form amyloid fibers and provide useful hypotheses for amyloid-forming mechanisms in many disease-related proteins. His research also opened up the possibility of true atomic-level drug-design approaches to prevent fiber formation. Eisenberg’s group has worked on drug design too, and several candidates are in development. Although Eisenberg started his career looking at protein structure and binding affinity, he developed an interest in the role of aberrant proteins in neurodegenerative diseases. Eventually, his combined passion for medicine and basic research led him to consider fundamental scientific questions about neurodegenerative diseases. 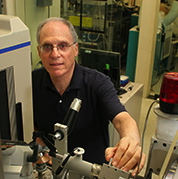 Eisenberg began his career as an undergraduate at Harvard University under the tutelage of protein scientist John Edsall. He became interested in the computational and physical sciences as well as the biochemical sciences. Eisenberg went on to get a D. Phil. at Oxford University in the U.K. In 1989, he was elected to the National Academy of Sciences. He has received numerous awards, such as the Amgen Award of the Protein Society in 2000 and the Harvey International Prize in Human Health in 2009.